It has become clear, as you might know too from reading this blog, that I am easily worked up, both positively and negatively about a whole host of different things. Usually, I'll provide a lot of back story and a connection to the bigger picture as reasoning for my strong beliefs about mundane matters while other times what I say may seem pointless. Despite that initial impression, I still feel there is a purpose behind my preferences. Something like my hatred of a chewed up straw when I am sharing a beverage, I believe is a preference easily understood and shared. Taking in a straw chewed on by someone else, even if this person is your life partner, is nothing short of disgusting, something which I liken to putting pre-masticated food into ones mouth. Ugh. My esophagus shuddered just thinking about it. The preferences I discuss here are even more insignificant than that, yet I still believe there is good reasoning. On the lower end of the scale, I get very angry when someone opens a package of potato chips from the bottom of the bag. What is with this? To me, it's like wearing a dress backwards or driving a car only in reverse. Everything was laid out to be done a certain way and then *boom*, the universe gets turned on its head as someone disregards the balance because they can't take a moment to turn a bag of chips around. What if I want to read the ingredients? What if there is a competition I want to enter? How am I supposed to read all the entry requirements carried on this topsy-turvy chip bag? Simply put, I am screwed. I risk either injury to my neck as I try to contort my aging body to meet with this flipped around bag, or I risk chip remnants in my lap. Either way, this could all be avoided if the bag were simply opened from the top. Stomach filled, taste buds tantalised and reading material easy to read from this simple and obvious process being carried out. 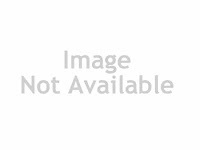 I actually couldn't find a picture of a bag of chips opened at the bottom because apparently there aren't enough sick people in this world doing that, I'm happy to report. 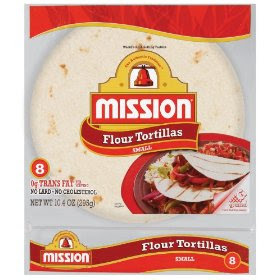 Recently a mishap occurred during the opening of a bag of tortillas, not because of this carelessness of a lay person, but courtesy of the tortilla manufacturers themselves! As I snipped the top off the bag to gain access to the tortillas contained within, I soon expressed disdain for the bag as I attempted to seal the remainder with Glad Wrap which failed to provide air-tight freshness I had hoped for. Upon poor completion of this task, and after wishing the bag came with a built in ziplock function, low and behold I discovered the bag DID contain such a function, however, given that it was placed at the bottom of the bag, it slipped under my radar of bag opening sensibilities, so the intended convenience fell flat. Granted, this was a huge oversight on my part, but I think the package designers at Mission were out to lunch (and that lunch was not making their own tacos) the day they came up with this. Another beef I have is with wrongful toothpaste squeezing. While I feel strongly about this matter, if someone has stressed an opposing preference, then I will respect their method when using their tube. However if no such conversation has transpired and I find your tube to be haphazardly squeezed from the middle, then yes, I will take matters into my own hands and squeeze it all up from the base. 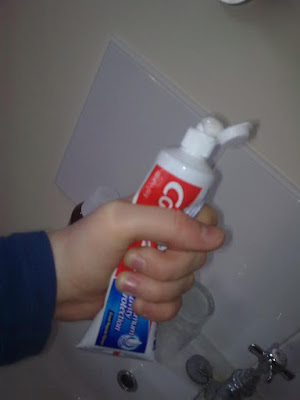 The squeezing of the toothpaste tube in this manner speaks volumes about the state of our society. People are too blasé about doing what feels good in the here and now and not taking stock and thinking about the future. 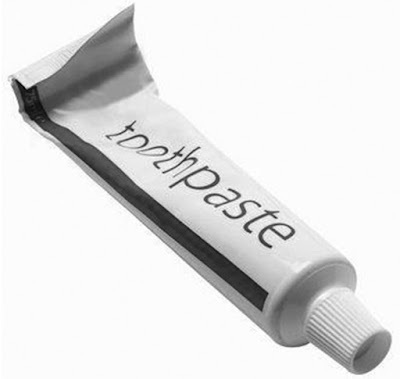 The fact remains that you can successfully squeeze from the middle for weeks, but the day will come when this slovenly method fails to come through and so a last minute scramble to inch up all the poor paste that was left behind at various points throughout the tube takes place. Depending on the make up of the tube, this can prove quite difficult with some of the paste that hard earned money was spent on, is sentenced never to emerge from the nozzle as nature intended, but instead to be left behind, off to spend eternity in a landfill. A far cry from the promised land: the ocean. I think about all this intensely, twice daily as I paste up my brush, and it is for this reason I always squeeze from the bottom. 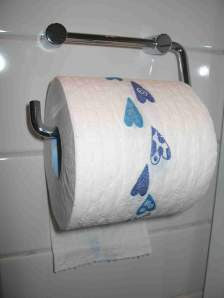 Lastly, and possibly the most controversial, is the preference of the toilet roll. I can't say I have felt strongly about this issue my whole life, but certainly for the last 10 years or so, perhaps after being confronted with a deep set roll dispenser, this preference of mine came into fruition. 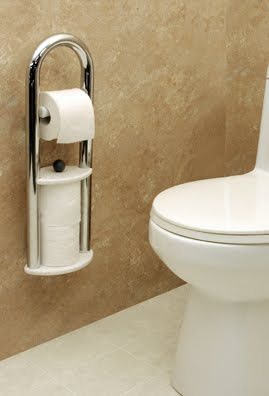 It is now so clear to me that if I find someone has their roll hanging the wrong way, I go ahead an change it, assuming that only indifference to its placement can be the cause. 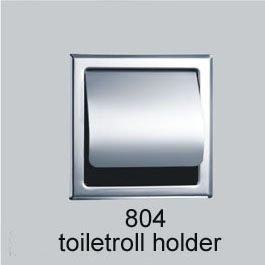 I can only imagine that the indifferent toilet roll installer has been fortunate enough to encounter only accommodating roll holders. I am a strong believer in the paper hanging over the top. I find this makes the end easiest for accessibility, the other way having a tendency to get lost. It is a requirement in California (or so I am told) that restrooms have seat liners. This is not a requirement in all states, and there's pretty much no such thing in Australia, where I was toilet trained. Still, germs are germs in all corners of the globe and measures must be taken to prevent contact with them. I was taught to line the seat with paper, something I still do in public restrooms as I just cant get the hang of the provided seat liners. As such, I haven't time to dilly dally and let the end of the paper make it arrival in due course. I need that end NOW, lest the ladies in neighbouring stalls pine to see the tap dancing performance going on through the wall. Perhaps this is how my preference for "over" came to surface. Here are some examples of why "over" is correct and "under" is wrong. 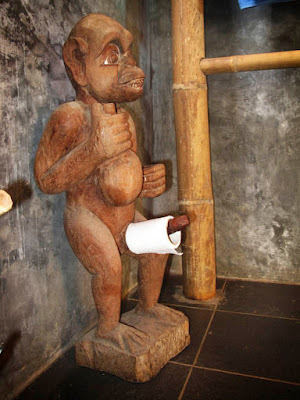 This is the classic example of a troublesome toilet roll holder, the kind I find at work and battle regularly. If the roll hangs forwards, it is easy to roll it forward and find it. If it hangs backward, it is easy for it to get lost in the cavern and in the case of the device at work, the edge gets caught to the ridge at the bottom putting unnecessary strain on the bladder as one works tirelessly to fish it out. It is particularly hard to find the end when the roll is full, making a reach in for it near impossible. Fun times getting the end of this should the roll hang the other way! The print on this roll shows it was intended to hang the other, correct way. When taking a sewing class last year, I asked the instructor which way the spool of thread should be placed on my machine. 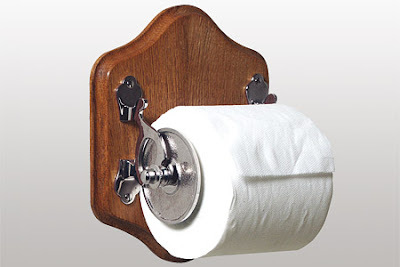 "How do you hang your toilet paper?" she asked. "Over?" I said, confident in my own toilet paper hanging practices, but wary of hers. "Exactly!" was her response, filling my heart with joy to see that some people live in a world where they are not confronted with this matter as though there isn't any other way.